The federal government has made large-scale reshuffles in the superior bureaucracy, states a notification. Per details, Secretary Water and Power Nargis Sethi has gone for a long leave and Secretary Housing Younis Daga has been appointed in her place. Sethi has taken leave till her retirement in December. It is pertinent to mention that Prime Minister Nawaz Sharif had expressed concern over the delay in completion of power projects, loadshedding and inflated power bills during the last meeting of the federal cabinet. The federal secretary concerned had also accepted the failures after which the government had decided to replace her. Sethi had taken a 10-day sick leave but after coming to know about her expected transfer, she has taken leave for the rest of her tenure till her retirement later this year. Meanwhile, Additional Interior Secretary Hamid Ali Khan has been appointed as secretary of Capital Administration and Development (CAD) whereas National Database and Registration Authority (NADRA) Chairman Imtiaz Tajwar has been appointed as executive director of National Vocational and Technical Education Commission (NAVTEC). 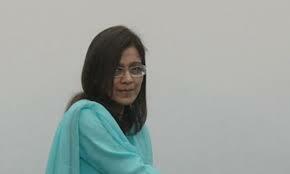 Moreover, Rashida Malik has been promoted to Grade 22 and appointed Environment secretary. On the other hand, Grade 22 officer Haseeb Athar has been appointed the federal ombudsman. No name has been approved so far for the Housing secretary Housing. A name for the portfolio is expected to be announced till Monday.